You appreciate the trees in your landscape for the shade and shelter they provide as well as for their grace and beauty. But when a tree fails for any number of reasons, your focus shifts to safety, and the prevention of further damage to personal property. 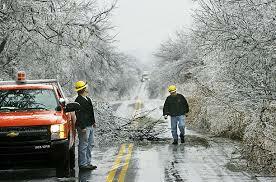 High Peaks Tree Removal is prepared to respond to your tree related emergencies. You can be assured that we will do our very best to resolve your situation quickly and with the same degree of professionalism that you would expect in normal operations. Wires in contact with tree branches. Trees may become energized when in contact with electric wires. Peeling bark or gaping wounds in the trunk also indicates structural weaknesses. Fallen or uprooted trees putting pressure on other trees. Tight, V-shaped forks which are much more prone to failure than open U-shaped ones. If you suspect that you have a hazardous tree, call us and make an appointment with one of our Professional Tree Care experts. We will assess the hazard and give you options for remediation. Storms can rip through an area and leave major damage in their path. Our qualified technicians provide the expertise needed to carefully clear trees, branches and debris to help alleviate further damage to life and property. 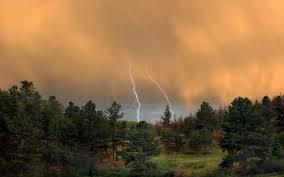 Storms may cause limbs or entire trees to fall, often landing on other trees, homes and other structures, or cars. The weight of storm-damaged trees is great, and they can be dangerous to remove or trim. A licensed tree care professional can assist in performing the job in a safe manner, while reducing further risk of damage to property. Call us today! When a snowstorm hits, don’t be worried that you will be trapped in your driveway – you can count on us day or night for emergency snow removal services for your home or business. Snow on the ground does not have to disrupt your daily life – let us help remove the snow on your property for an affordable price. Call us 24 hours a day for quick, reliable service.